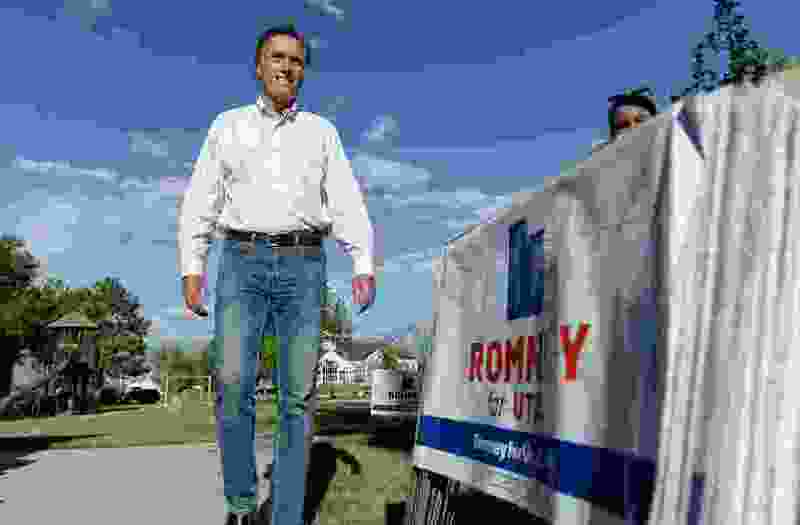 Salt Lake City • U.S. Senate candidate Mitt Romney raised nearly $2 million for his campaign in the past two months, giving him a large financial edge on his Republican opponent in the Utah primary, records show. His primary opponent, state lawmaker Mike Kennedy, raised $152,000 over the same period and has $66,000 on hand and debt totaling $295,000, according to his campaign filing. He had previously loaned his campaign $250,000 and loaned an additional $45,000 since April. Sen. Frank Moss was the last Democrat sent to the U.S. Senate in Utah. Hatch defeated him in 1976. Wilson secured the Democratic nomination at her party’s convention and does not have to run in a primary. As a result, she was not required to file new financial disclosure paperwork. In April, she reported having $94,000 cash on hand. In Utah’s 3rd Congressional District, which stretches from the suburbs of Salt Lake City to the state’s rural southeast corner, Republican Rep. John Curtis is looking to be elected for his first full term after replacing Jason Chaffetz last year.